The Framework is a messed up world where Ward is trustworthy, Fitz is a monster and Coulson believes in mind-control soap. Agents of SHIELD is making the most of the alternative reality continuing to sprinkle the landscape with Easter eggs while ramping up the tension and moving at the show’s signature breakneck pace. Among the big revelations this episode is that the Framework is equal parts virtual prison and Aida’s fantasy world. The closer Daisy and Jemma get to Aida’s inner circle, the more difficult they are finding it to convert their friends. Before going all haywire, Aida was seeking some kind of connection with the human world, though the knowledge of her artificiality was a barrier that could not be overcome. In the Framework, even an android’s wildest dreams can come true but as we saw at the end, it may come at a terrible price. As the Nos. 1 and 2 operatives in HYDRA, Aida and Fitz have near unlimited power at their fingertips and the intimate bond Aida has craved. Sure, Aida’s having to spin a yarn of interdimensional travel and slavery to tap into Fitz’s core desire to help and protect. Sure, Aida is trying to keep the prison from falling in on itself, but this is also very much a world she wants to preserve, because she’s as “real” as anyone else in the Framework. It’s an interesting concept to explore the fantasy life of an artificial intelligence and Agents of SHIELD hasn’t left itself a ton of time to dwell on it, but this very human frailty that Aida is displaying might be her ultimate undoing. 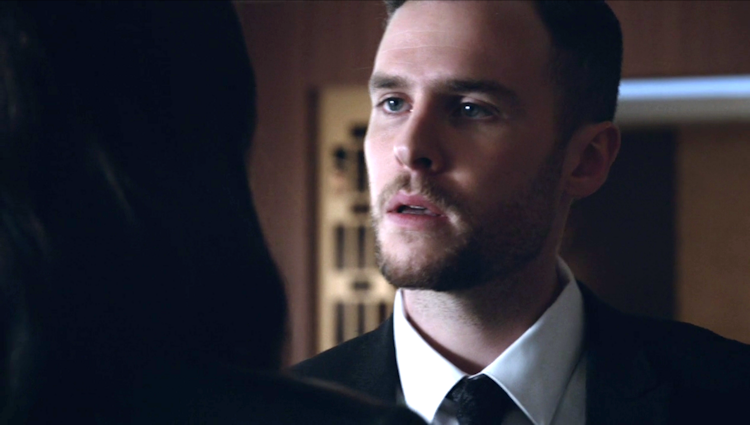 The events of this episode also have long-term implications for the FitzSimmons relationship. Even though she knows it’s all virtual, can Jemma come back from seeing the shell of the man she loves kill in cold blood? How much will Fitz remember and when will he start to pick at the threads of the reality around him? His scene with a captured Daisy in the episode’s stinger, suggests not any time soon (which has to make the show’s fans squirm). The episode did an excellent job of balancing out the high drama that came at the end with some nice intrigue and reintroducing some familiar faces. We see Mack and his daughter for the first time in the framework. From the start, Mack knows that their not-so benevolent protectors in HYDRA should not be trusted, and that his genius daughter needs to be protected from their gaze. Jeffrey Mace is also reintroduced as the leader of the SHIELD resistance movement and is the armored superhero he’s always wanted to be. The glue that held the episode together was Clark Gregg’s slowly waking Colson. Not only did he execute the soap running gag to perfection, but he was able to play the character with equal parts cool spy and befuddled dad. So far, the series is getting the maximum from the framework world and it has been able to reintegrate characters like Ward and Radcliffe, without it seeming over the top. With battle lines being drawn, the fight for Fitz’s soul and the very survival of SHIELD itself will begin in earnest. It going to be a wild ride to the end of the season.